Finding good wine in Thailand is a bit like trying to find a unicorn: elusive at best and, according to some, this mythical creature simply doesn’t even exist. And that was how I felt until I discovered Hua Hin Hills Vineyard. For weeks I’d travelled through Thailand, craving a glass of crisp, white wine. It’s the sunshine. Does it to me every time. But, to be honest, even a bold red would have done, despite the heat. Yet, all attempts at ordering a glass had failed. In a country where “Red or white?” is the most common wine choice, most people quickly accept that beer is to be their fate. And that’s what I did until I looked closer at a map. Fast getting tired of the Thai islands and the full moon party crew who had swept in, I decided it was time to head north: to Bangkok and eventually on to Myanmar. My online visa application for Myanmar would potentially take days. I had time for a quick stop before flying out of Bangkok. The town of Hua Hui hit my radar for a few reasons: it was en route from Koh Tao to Bangkok; it was by the beach (a major plus over Bangkok); there was the promise of night markets (food. give. me. food); I could reach Bangkok by train (I do love a train journey); and there were vineyards. Vineyards? Hua Hin Hills Vineyard to be exact. Thailand is pretty new to the wine business. You can trace the history over decades rather than centuries. And Hua Hin Hill’s Vineyard isn’t much different. It’s story starts around the beginning of the new millennium. 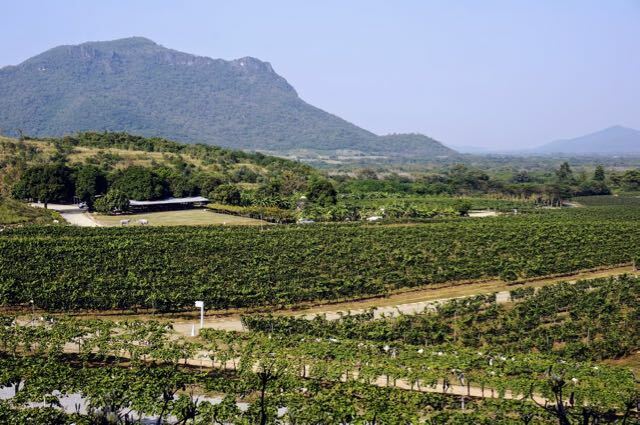 After testing the ground (literally), Siam winery, as it was then know, started planting vines in the hills of Hua Hin. 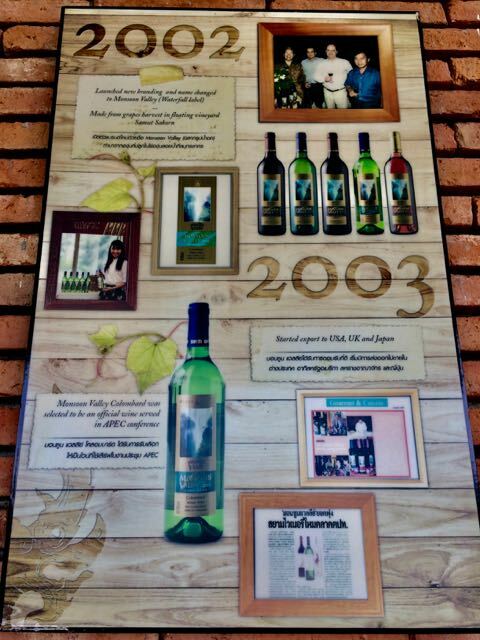 Over 10 years later, those efforts have blossomed; the name has changed to Hua Hin Hills Vineyard and the brand Monsoon Valley Wines has found its way into bottles and onto the shelves. 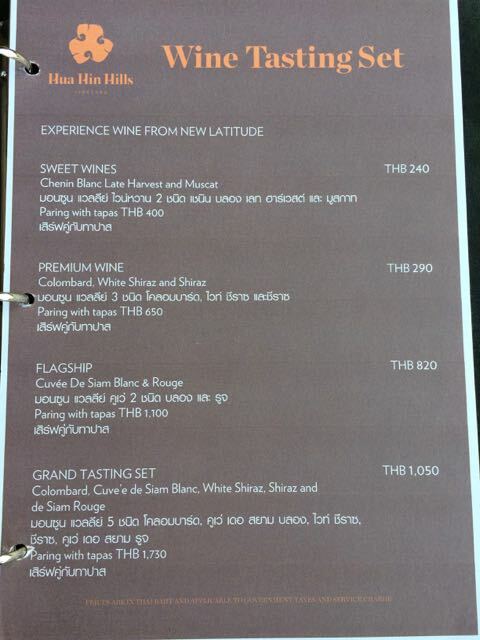 The wine created by Hua Hin Hills Vineyard is considered ‘new latitude wine‘. Traditionally, it was thought that only regions with latitudes between 30 and 50 degrees were capable of producing good wine but views are changing. 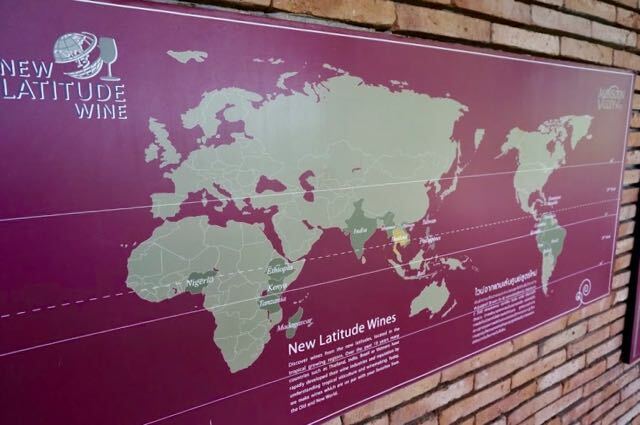 New latitude wines are springing out from countries as broad as Brazil, Kenya, England and Thailand. If these new latitude wines can start to produce the kind of quality I tasted at Hua Hin Hills Vineyard, there’s going to be quite some disruption in the market place. All the better for consumers. Despite the ‘Mediterranean-like breeze’, this new latitude wine is still made in the tropics and it’s not called ‘Monsoon Wines’ by accident, which is a fascinating challenge taken on by the wine makers in this part of the world. Having discovered there was a vineyard in Thailand, I was on the next boat and bus out of Koh Tao. 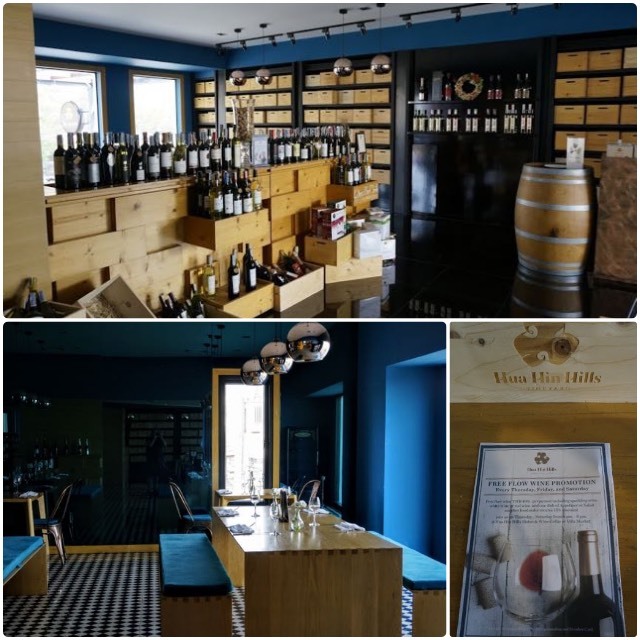 A bit of research online told me that not only is it possible to visit the Hua Hin Hills Vineyard, they have a wonderful sala (designed by a colleague of Norman Foster, no less), where you can indulge in a bit (or a lot) of wine tasting and food pairing. 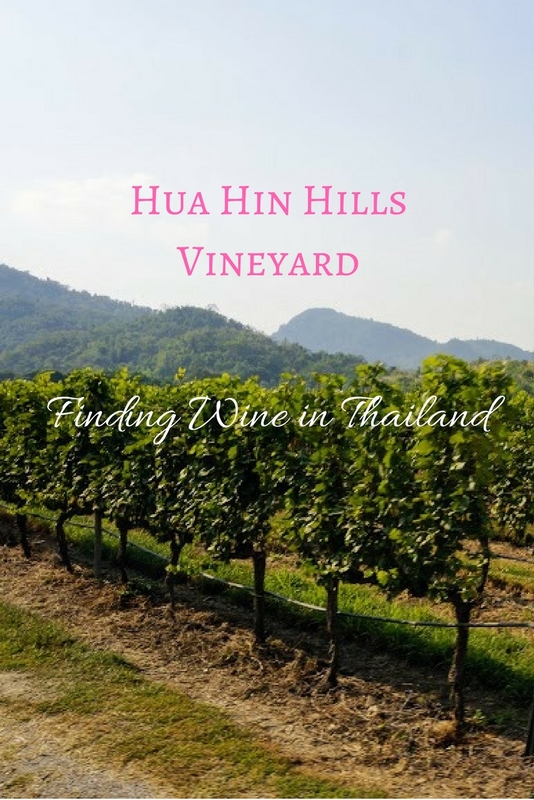 Hua Hin Hills Vineyard doesn’t process the grapes on site but that didn’t bother me in the slightest – I’ve seen grapes crushed more than once and I’m always more interested in the finished product. 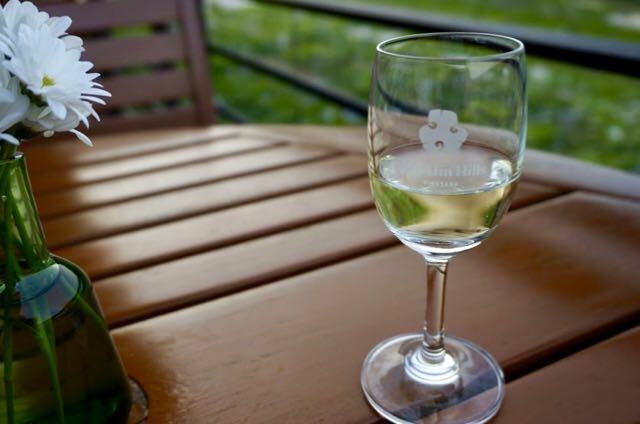 There are four wine tasting options ranging from one glass of sweet wine through to the grand five wines. Not one to do things by halves, I went for the Grand Tasting Set. And, of course, I ordered the tapas pairing. What follows in a summary of what I ate and drank. Obviously, everybody has different preferences and palate when it comes to wine and food so I’ll try to be as objective as I can with the descriptions. Be warned: each pouring on the grand tasting set is 75ml. I didn’t spot that detail when I looked at the menu (I was too busy drooling over the food descriptions). That’s half a bottle of wine and I was pretty buzzed at the end of it, despite the food. It had been a long time since I’d tasted a Colombard, long having filed it under ‘not my kind of wine’, so I was a bit reluctant to start here. I shouldn’t have been. This turned out to be, by far, my favourite of the Monsoon Valley wines. Close in taste to the kind of fresh white wine you’d find in Italy, this was the wine I’d been craving – cold, light, crisp and best enjoyed in the sun. I enjoyed it so much, I bought a bottle to take away. And, on second tasting, it was just as good. The chilled crab meat and apple timbale, I was less impressed with because it was a little flavourless. Still, there was plenty of crab and the apple gave a nice texture without being overpowering. Perhaps it was too chilled to really find the flavours. The second I saw the colour of the cuvée de Siam blanc, I knew I wasn’t going to be a fan. Honeysuckle yellow, courtesy of spending 18 months bathing in oak, I took a sniff and was overwhelmed by the scent of toffee. Not how I like my wine (oaked or with hints of toffee), but ideal if you’re into bold, oaky whites that have rich, sweet undertones. If I’d closed my eyes, I could easily have envisioned this wine as a creamy liquor drank around a log fire. This was the kind of wine I’d be finding throughout Thailand. This was the kind of wine that made me order beer in bars. But, when I described it to a fellow traveller a few days later, her eyes peeled back with joy. Some of you are bound to love this richness. As for the food, I had high expectations for the foie gras, which was a bit stupid given I was thousands of miles away from France. the first problem came with the fact that the terrine wasn’t a terrine, as you can see. 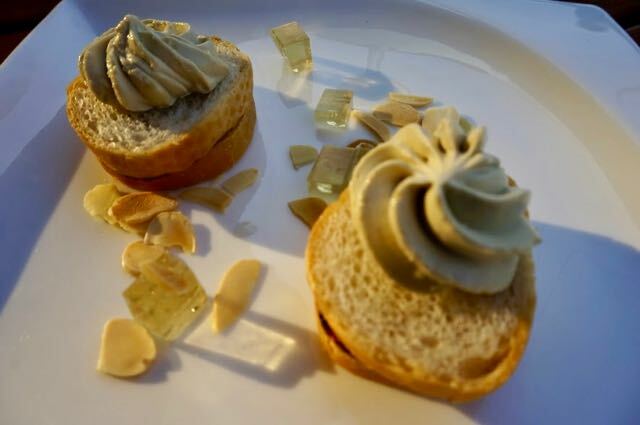 Secondly, what little foie might have once been present, had been blended down to bare existence with a substance I can only describe as margarine. Slippery, artificial, margarine. Although the bread wasn’t Thailand’s usual sugary bread (which was a relief), it was sandwiched together with a paste that tasted of treacle. Strangely, that was the nicest flavour on the plate. Between the fatty food and the big, oaky wine, the combination was just to cloying for me and I was staring to regret ordering the food pairing. ..starting with the white shiraz and lobster with frozen red curry. 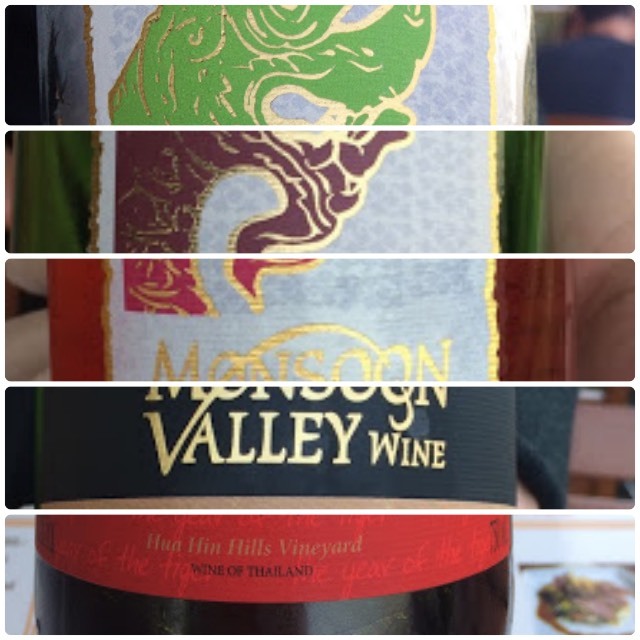 Thai wine with Thai flavours – that’s what I really wanted when I visited Hua Hin Hills vineyard and this pairing served it up in spades. Pleasantly surprising from start to finish, the white shiraz had an unexpected and refreshing sparklle. There was a sweetness, which I had expected and definite notes of vanilla but neither lingered too long and overall the wine sat on the dry side. The lobster (something that’s very popular in Hua Hin) was actually the best lobster I’ve ever tasted. Ever. Cooked perfectly (the chef avoided turning it into rubber – not something all chefs can manage), was well seasoned and with the sweet spice of the red curry, it was a winning combination that could give the popular French cheese and wine duo a run for its money. The shiraz is the vineyard’s most popular and most exported wine so perhaps my expectations had already been raised, which may account for the fact that I was disappointed by this wine. Although shiraz wouldn’t be my first choice of red wine, I do enjoy a glass from time to time but this wasn’t nearly as smooth as I would have liked. I’ve certainly tasted worse shiraz but in a market where there are plenty of good, cheap bottles of shiraz to be had, I’m not sure how well this wine will compete on a global scale. (They’d be better shipping the colombard, which I thought was exceptional). The duck breast, on the other hand, was glorious. Covered in a sweet soy glaze, the only downside was that I demolished it too soon. I could have lived without the Thai salad underneath, which seemed too bitter compared to the soft flavours of the duck. However, eaten on its own (after I’d finished the duck), the salad was nice enough. The Siam rouge was as cold as an iced Chang (beer) glass when it arrived and, as such, tasted of nothing, which, it turned out, was a good thing. And I suspected as much. As the wine warmed and the flavour appeared, the rough edges of the wine bit my throat. However, with the assistance of the lamb, the wine improved. 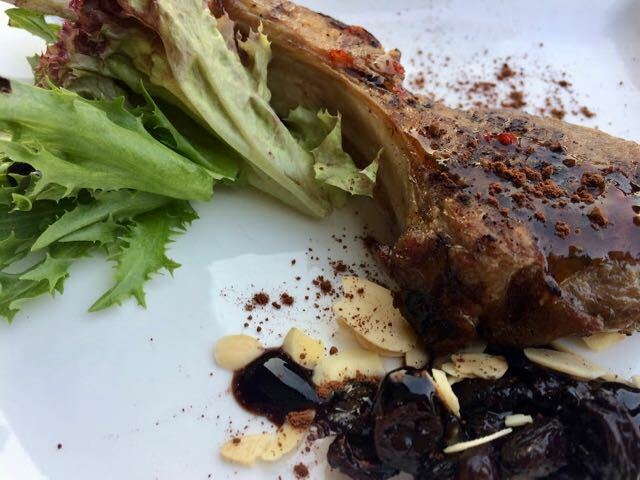 And speaking of the lamb – tender (enough that I could cut it with a standard, barely serrated dinner knife), high grade, perfectly cooked, I was ‘this’ close to picking up the bone and gnawing every last bit of meat I could find. I almost cried when I finished the lamb, but that might be down to the fact that I was now up four glasses of wine. Being the cheeky monkey I am, I chanced my arm and asked for a small sip’s worth of the blanc de blanc, just so I could taste it. And the lovely people obliged (I’m not guaranteeing you’ll get the same treatment – drinking wine on your own can elicit all sorts of sympathies. Or maybe they didn’t trust me not to make a scene – I can get a crazed look in my eye after a bit of wine). Fortunately it was just a small pouring (I didn’t need that crazed look to get any more crazed) but it was enough to form a view: although not of the quality of a good Champagne (and I didn’t expect it to be), this blanc de blanc is a worthy contender. There was a bit of an aftertaste that I couldn’t quite place but it was definitely as decent as a standard bottle of supermarket prosecco. 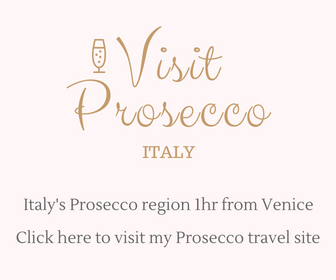 Speaking of prosecco, did you know there’s a prosecco road you can visit in Italy, just an hour outside Venice? You can read my guide to visiting here. And if you want to know more about sparkling wine, you can find my cheat’s guide here. The colombard was by far my favourite wine. In fact, I liked it so much that if I found it in England, I’d buy a bottle. Next in order of preference was the white shiraz; combined with the lobster, this pairing was the overall winner. The shiraz was a little disappointing compared to my expectations but I’d happily order it in a bar in Thailand. The blanc de blanc I was more impressed by and would definitely treat myself to a glass if I saw it on the menu. The cuvée de Siam blanc and rouge were not for me. 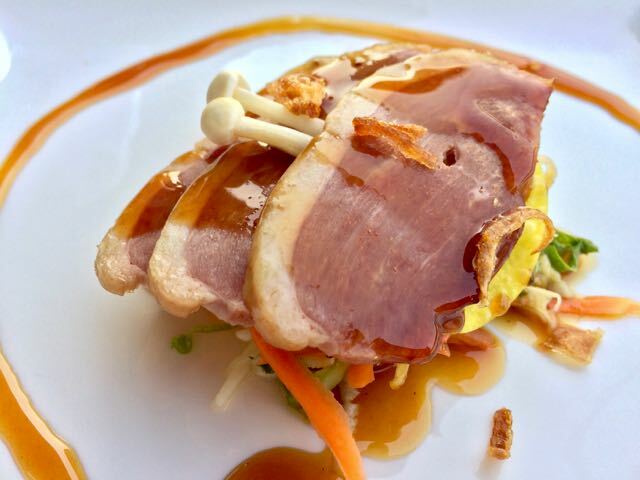 Likewise, the crab timbale and foie gras didn’t hit the spot but that duck and that lamb? I’d definitely consider ordering them if I was having my last meal on death row. Not that I’m planning to be on death row any time soon. Or ever. Let’s make that ever. 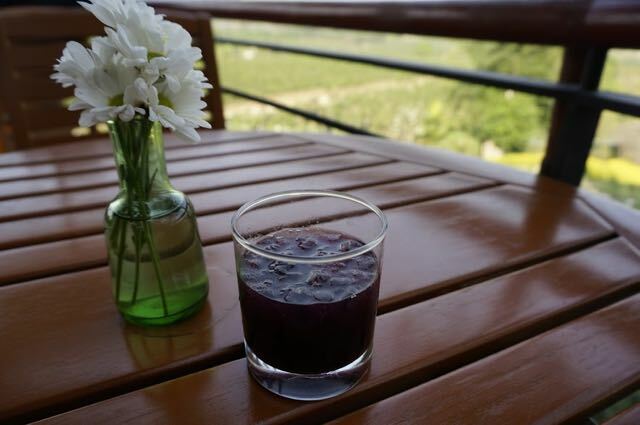 Want more wine time back in Hua Hin? 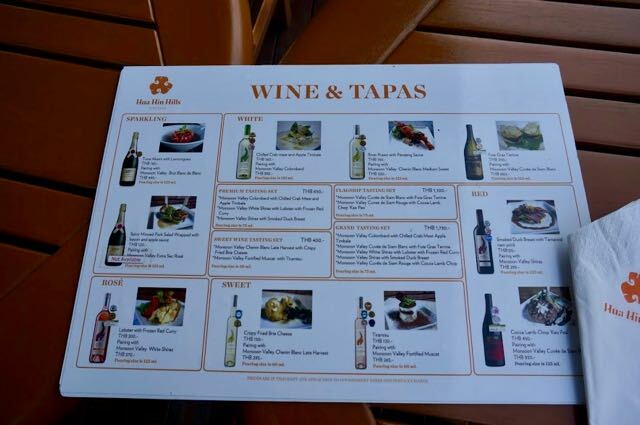 Although I didn’t eat at the Hua Hin Hills Bistro, the menu looked interesting (though expensive) and there was a fair selection of international wine on offer (though mainly from the big brands that you’ll find at home). What looked most appealing was the offers. Check online and time your visit and you could be in for a well-priced ‘free-flow’ treat. 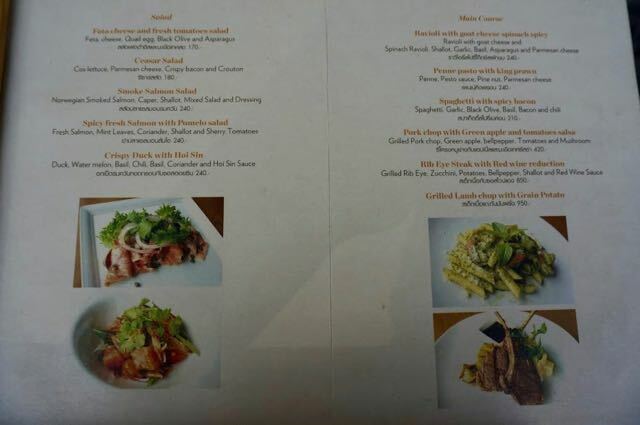 Here’s a look at the bistro menu. I suspect it changes but this will give you an idea of the food and prices. Don’t get too excited about the promise of a terrace at the bistro – it looked out onto the town. Though it did seem to get a good share of sun if that’s what you’re after. Please don’t go elephant riding – see why below. Paint a wine bottle or go cycling instead. Or just drink wine. You can always just drink wine. 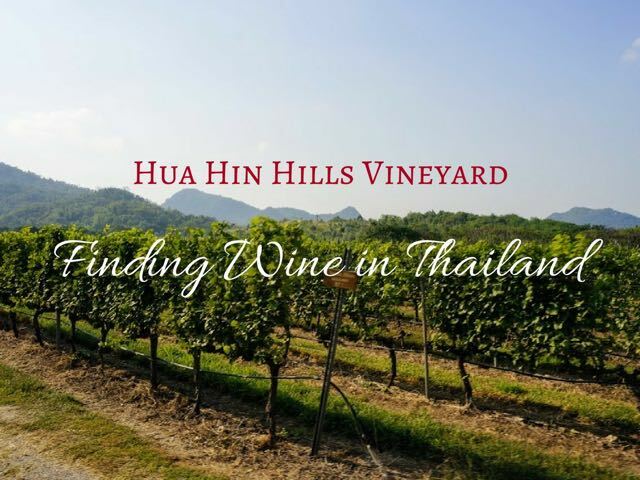 I was impressed with the broad list of activities on offer at Hua Hin Hills Vineyard. 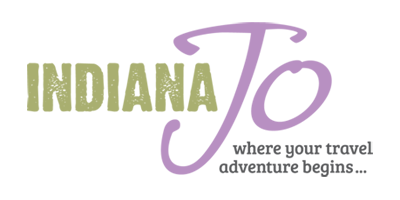 So, if you travel as a group and some members aren’t as into wine, they can go mountain biking, bottle painting or just enjoy an a la carte lunch. You can also take a tour of the vineyard by ‘vintage’ jeep. I’d highly recommend this. It takes only 15 minutes and the guide will give you the low-down on the land, the grapes, the harvesting and the climate. Plus, you get to bump and jig through the terrain on a jeep for a short while. 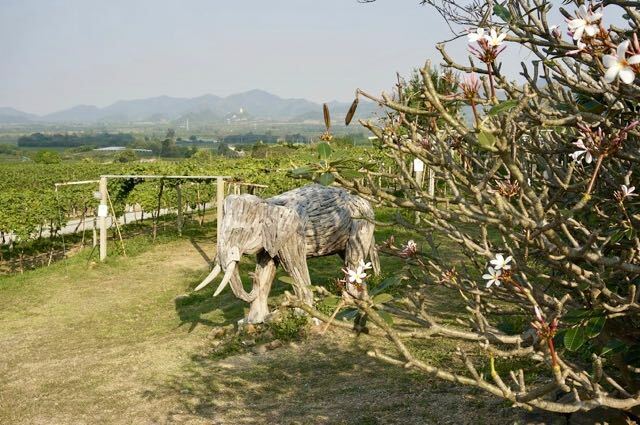 The location of Hua Hin Hills Vineyard is on an old elephant corral where elephants were once domesticated. Probably with a nod to times gone by, the vineyard still offers elephant rides around the land. It may seem like an exotic, exciting or romantic thing to do but the elephants suffer in order to take you on a ride. Don’t take my word for it. Hear from the experts here, here and here. Think I’m a hypocrite eating foie gras but advising you not to ride elephants. I agree with you. The food I eat and the activities I choose are often at odds. I’ve written about the conflict here. 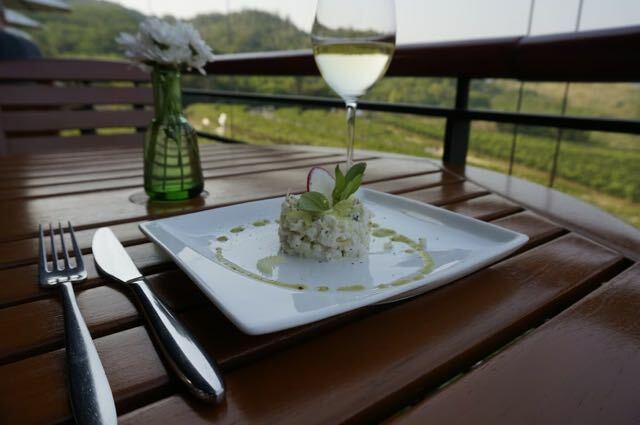 The vineyard is just 45 minutes away from the centre of Hua Hin by car. you should avoid taking a scooter or driving if you plan on tasting the wine (the pouring size is ample). If there is a group of you, taxi might work out and it will give you the most flexibility in terms of timing. However, as a solo traveller, I opted for the daily shuttle run by Hua Hin Hills Vineyard. The shuttle costs 300THB for a return ride in a modern, air-conditioned mini-bus that is likely to be more comfortable than a taxi and has the huge advantage that, in a tourist town, you won’t have to go through the pain of haggling. Taking the shuttle also secures you a ‘Reserved’ table and priority seating on arrival, which felt nice. It also came with a complimentary glass of grape juice. Being doused with a Thai level of sugar, I wasn’t so fussed about. The free bottle of water was more welcome. Trying to quit my wine for breakfast habit, I opted for the 3:00pm shuttle and I felt like I could have done with another hour at the vineyard. However, I do eat slower than a 3 year old who’s stalling on that last bit of toast because he knows he has to go to bed and I can lose an hour taking photos of one vine. Yes. One. Vine. So, the 3-hour slot is likely to be enough time for most ‘normal’ people. 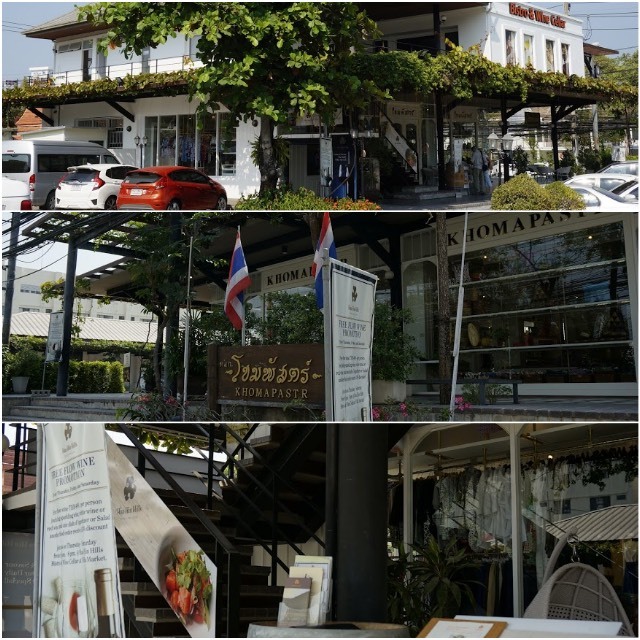 You can catch the shuttle from the Hua Hin Hills Bistro and Wine Cellar, which is located on the second floor of Villa Market. The easiest way to find it (aside from taking a taxi there) is to download the Maps.Me app and follow the GPS directions. The Hua Hin Hills website has the most up to date information on the shuttle. You can’t book through the website – it really is a turn up and take the shuttle experience. There is an email address on the website but I didn’t receive a reply for a couple of days (by which time I’d been) so plan ahead. An app for iPhone, Android and other devices, Maps.Me has revolutionised travel – free, searchable, fully offline and integrated with GPS (even offline), you now have the entire world’s map system in your pocket. I’m not sure I’ll bother with paper maps again. In the top photo, that’s the block you’re looking for – see the bistro sign at the top? Below is the store Kohm Pastr – this is probably the first thing you will spot…and then you’ll start to see signs for the bistro. Follow them to the top. I visited during the week and I arrived about 40 minutes before the 3 p.m. shuttle, and I had no problem getting a seat on the bus. In fact, I was the only person on the shuttle! I did email a day ahead to see if I could book but I didn’t get a reply for 48 hours, by which time I’d already visited. So, if you’re a large group or want to secure a seat on the bus (it may be busier at weekends), I’d recommend emailing 48-36 hours in advance. A collateral benefit of taking the shuttle was the discovery of Villa Market. Filled with the best products and produce from around the globe – think: Canadian Maple syrup; French cheese; Italian ham; Mexican corn tortillas; and Stroopwaffle from the Netherlands; if someone could take this supermarket idea global, that would be great. If you’re pining for something from home, there’s every chance you’ll find it at Villa Market. I stayed at Chan Chala Café and Hotel, which has a mix of dorms and private rooms. It was clean, well-located (5 minute walk to the beach and the same to the night market) and they served the best fresh baked bread for breakfast. There are other budget options here. Otherwise, there’s a wide range of hotels in Hua Hin – you can find the most popular here on TripAdvisor. Can you please tell me the web site fir the shuttle to the Vineyard? Hi Christine, it’s the vineyard website (in the post above). You can’t book through the site directly – it really is a turn up and go operation. Good luck. Villa Market is also present in Bangkok. I got some nice goodies there. Thanks for an informative article. I plan to visit Hua Hin in the near future and will be sure to check out the vineyard…and take the shuttle ;-). Thanks for the tip about Bangkok! 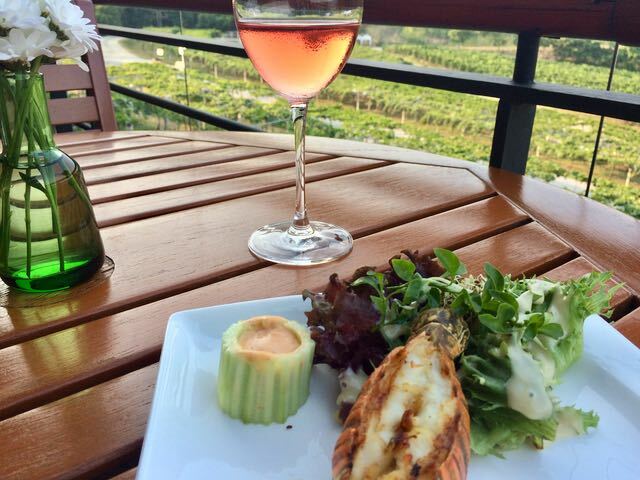 I definitely put the vineyards on your to visit list. It was definitely a highlight of my last trip to Thailand. How did I miss that there are vineyards in Hua Hin when I was there? We definitely would have gone there if I had known. Sounds like it was worth the visit too! I’ve put it on my list for next time I am in Thailand. Thanks Jo!